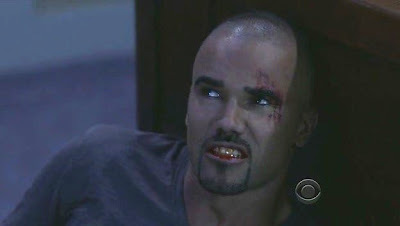 SSA Derek Morgan/SHEMAR MOORE at his most vulnerable. Encore showing of the CRIMINAL MINDS Season 5 Finale, "Our Darkest Night," tonight (September 8) at 9:00 p.m. ET/PT on CBS. A series of rolling blackouts in the city of Los Angeles lures a serial killer out of hiding, giving him renewed opportunities to killing spree. 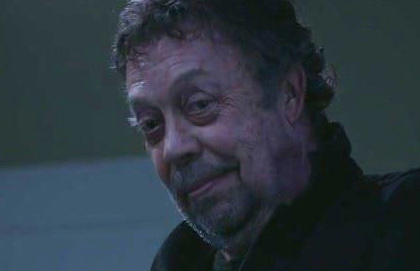 Guest stars include: Eric Close, Tim Curry, Linda Purl, and Robert Davi. 15 Days until the Season 6 Premier! Wednesday, September 15, CBS is not airing an episode of CRIMINAL MINDS.